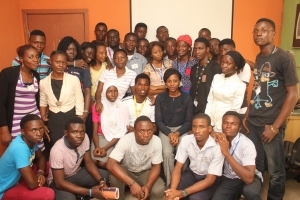 Ajegunle.org, an initiative of Paradigm Initiative Nigeria (PIN), which connects young people with ICT enabled opportunities to help access better livelihoods, has just completed a Google Web Training for community youths. The training held from 9 to 27 June 2014. The Google Web Training will give the trained youths a competitive advantage in the job market as the Google Web Academy offers skills and certification that are market driven. 16 out of the 36 registered participants qualified for the training, and were trained on products like Google search, YouTube, Google Plus, Google e-mail, Google Docs, spreadsheet, presentation, form, chrome, internet safety, Google Maps and Earth and Map making. The ICT classes focused on Microsoft Office packages, design tools & the Internet. 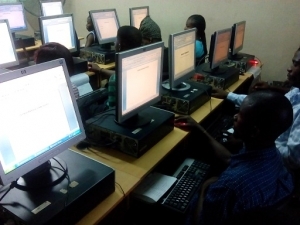 By the end of the first week of training, many of the students were already using computers proficiently. The entrepreneurship stream was facilitated by industry experts including Ademola Adeoye, Managing Director of World Class Impact, Ronald Nzimora, Managing Director of Profit Marketing Systems Limited, David Ekugum of SESEWA Support Services and Bola Akeju of Wecyclers. 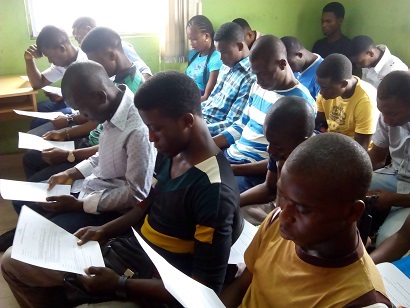 The life skill sessions were taken by Mrs. Oluwaseyifunmi Walter and Rev. Yomi Olufiade. The students were trained on marketing, finance, managing risks, staffing, social impact, customer relations and writing business plans. At the end of the training, participants had two weeks of practice and mapping of specific locations using Google Map maker.